This is part 1 of a series of two articles, which explore whether Ahmadinejad is a religious fanatic or a populist. Or perhaps a mixture of both. On a Tuesday three weeks ago, Ayatollah Ali Khamenei went to the holy city of Qom to regain some of his legitimacy as the ruler of the Islamic Republic. In many ways it has been a difficult year for the Supreme Leader. Though the security apparatus has managed to preserve his power at the pinnacle of the regime, it has come at a heavy price. The Islamic Republic's claims of justice and democracy ring hollow now more than ever. Khamenei is no longer considered an impartial arbiter between factions in an ever-tightening circle of insiders, which now appears to include only Principlist conservatives. (NB The term Principlist which appears throughout this article refers to pro-regime conservatives who seek a return to the founding principles of the revolution. It is a translation of the word osoulgara) Even this restricted camp is unable to stop feuding despite the Leader's exhortations to maintain unity. 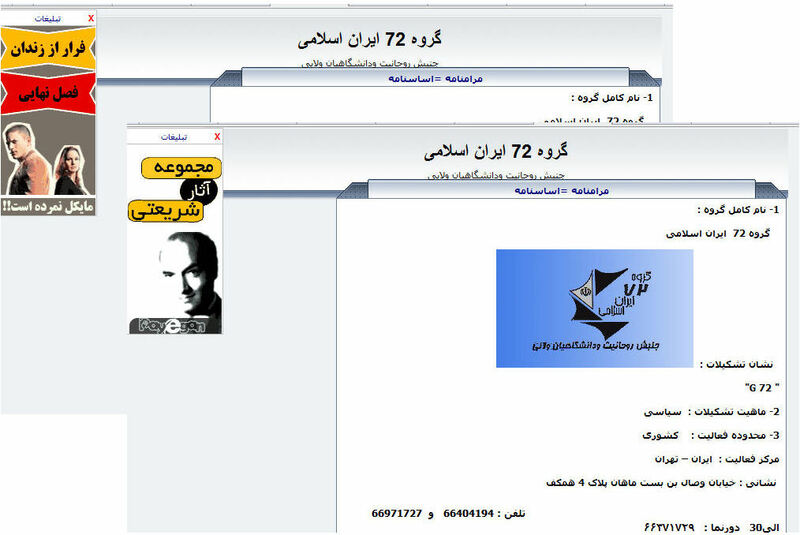 Already in early December of last year, the Basirat web site, under the control of Hojjatoleslam Ali Saeedi, Khamanei's representative in the Islamic Revolutionary Guards Corps (IRGC), published a report decrying 'a growing rift between the grand ayatollahs and clergy [on one side], and the Supreme Leader [on the other].' This was before pro-regime thugs raided Grand Ayatollah Youssef Sanei's home and office in Qom in June and Grand Ayatollah Mohammad Ali Dastgheib's Ghoba mosque in Shiraz in September. So it was that Ayatollah Khamenei arrived in Qom for a crucial nine-day visit to mend his image and gain the support of senior clerics. And where was Mahmoud Ahmadinejad on this all-important day? He was in Tehran, welcoming a friend and kindred spirit -- some would say a fellow practitioner of provocative antics on the international stage -- none other than Venezuelan President Hugo Chavez. The contrast between these two events and what they symbolize -- power through religion or populism -- raises fundamental questions about Ahmadinejad and his place within the Islamic Republic. Is he a true believer? Is he a religious fanatic hell-bent on pushing the world towards Armageddon to precipitate the coming of the Mahdi, the Shiite messiah figure? Or is he a populist using religion for political gain? The answer is not only significant for understanding the complex power structure of the regime and the fault lines between the various factions, but it also has repercussions on the future of the democracy movement, foreign policy, and the nuclear issue. The Assembly of Experts designated Ali Khamenei as the Leader of the Islamic Revolution shortly after the death of Ayatollah Ruhollah Khomeini in 1989. Without getting into the intriguing story of how this occurred, it is important to note that Khamenei was, at the time, a mid-level cleric -- a hojjatoleslam -- and that he was transformed into an ayatollah overnight for reasons of political expediency. This fast-track promotion placed the Leader's religious credentials under a question mark which dogs him to this day. 'There was no hiding the fact that Khamenei’s religious credentials were inferior, and the decision raised the ire of the country’s clerical elites in Qom,' writes Karim Sadjadpour of the Carnegie Endowment for International Peace in Reading Khamenei: The World View of Iran’s Most Powerful Leader. During the Occultation of the Vali al-Asr (may God hasten his reappearance), the velayat and leadership of the Ummah devolve upon the just and pious faghih, who is fully aware of the circumstances of his age; courageous, resourceful, and possessed of administrative ability, he will assume the responsibilities of this office in accordance with Article 107. The italics are mine. Vali al-Asr or ruler of the ages refers to the Shiite messiah who is alternately called the 12th Imam, Imam Mahdi, Imam Zaman, the Hidden Imam... He is said to have disappeared at the age of five in 874 AD, which is the start of the period of occultation or absence. Shiites believe that Imam Zaman will return to this world to bring universal justice and brotherhood. This constitutional article describes the principle of velayateh faghih (rule of the jurisprudent) from which Khamenei derives his power as a kind of 'surrogate to the Imam Zaman,' a title which is used by the regime with increasing frequency. Q: Could you please explain 'commitment to the velayateh faghih.' In other words, how must we act in order to know we completely believe in and are committed to the rightful surrogate of Imam Zaman? 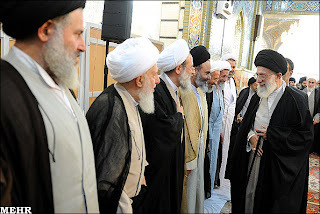 A: The velayateh faghih is the rule of the Islamic scholar endowed with all the necessary qualifications in the age of Occultation and is a branch of the guardianship of the infallible imams and the Prophet, and obeying the administrative orders of the [Leader] is sufficient to show commitment to it. 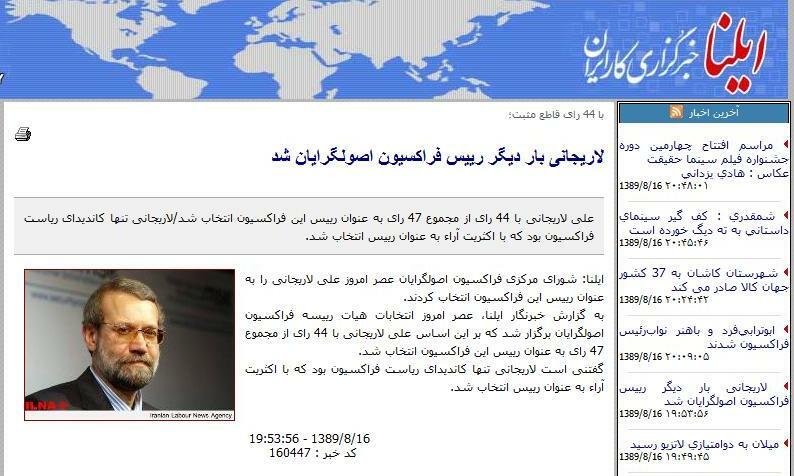 Other senior clerics and grand ayatollahs found the comparisons to the Prophet and the infallible imams less than evident and, after a period of equivocation, the fatwa was quietly removed from Khamenei's web site, although it still remains on some pro-regime sites, including Tabnak which is run by Mohsen Rezai, a former commander of the IRGC. Not exactly the sign of a Leader entirely confident of his position within the clerical hierarchy. Ahmadinejad is not a cleric. He is, in fact, the first non-clerical president of the Islamic Republic since the early 1980s, when Abolhassan Bani Sadr fell victim to infighting and impeachment after a year and a half as president (he currently lives in exile in France), and Mohammad Ali Rajai was killed by a terrorist bomb less than a month after he took office. Ahmadinejad does not have even one day's experience of revolutionary struggle, he did not receive even one slap for the cause of the revolution. If he did something, he should come and tell us where. Ahmadinejad did not see the war or the front. If he had been on the front for only one day, he would have boasted about it for a thousand days. I don't consider Ahmadinejad a revolutionary or a member of the party of God or a follower of the Leader or a manager or honest. Mr. Ahmadinejad, with all his being, fools himself and then fools everyone else. Readers can decide whether Ghalibaf is describing a populist or not. One of the most active civil movements of the past decade has been the Campaign for One Million Signatures to abrogate gender-discriminatory laws in the Islamic Republic. And one of the most visible elements of that discrimination has been the morality patrols' enforcement of proper Islamic dress. 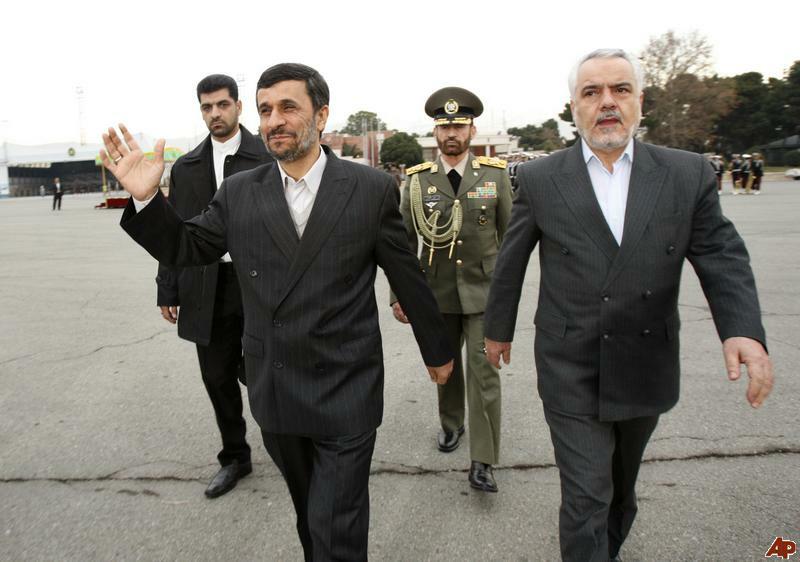 Ahmadinejad's actions seem to indicate that he, or at least close advisers, recognized this as a wedge issue. In early 2005, Ahmadinejad was running for president on a man-of-the-people, oil-wealth-distribution platform with the slogan 'It can be done and we can do it' (Mishavad va mitavanim). 'He cultivated his working-class image along with his piety to good effect,' writes Houman Majd in The Ayatollah Begs to Differ. 'His style, the bad suits, the cheap Windbreaker, the shoddy shoes, and the unstylish haircut, [...] is a signal to the working class that he is still one of them.' But he wanted to cast his net as wide as possible by also appealing to those who seek greater freedom. That Ahmadinejad reneged on those promises of a more tolerant government -- that his administration in fact supported stricter enforcement of morality and hijab laws compared to the relative springtime of the Khatami years -- is a matter of record. But it is interesting that he was willing to make such crowd-pleasing statements even if they ruffled some clerical feathers. Ahmdinejad had to know that his words would trigger a wave of condemnation from conservative clerics, and perhaps he welcomed this. It allowed him to position himself as apart from the conservative clergy, a champion not only of the economically disenfranchised, but also of some aspirations of the reformist camp whom he still considers important enough to woo. 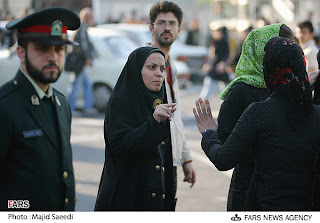 'Nobody has the right to prevent the police from acting against unsuitable hijab,' countered Ayatollah Ahmad Jannati, head of the Guardian Council, during Tehran's Friday prayer. 'Those who voted for you were the fully veiled people,' said Hojjatoleslam Ahmad Khatami, taking a more direct approach (no relation to former reformist President Mohammad Khatami). 'The badly veiled "Greens" did not vote for you, so you'd better consider what pleases God is not pleasing a number of corrupt individuals.' 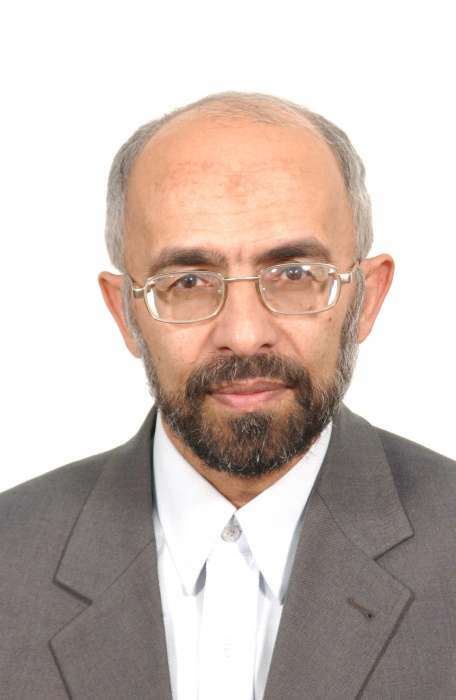 Ahmadinejad's own adviser on religious affairs, Hojjatoleslam Mohammad Nasser Biria, resigned over this issue and was subsequently reinstated following Khamenei's intervention. A month later, on the occasion of the Chastity and Hijab Festival, the Islamic Guidance Ministry of the Ahmadinejad administration held a press conference which was related in comical fashion by the international press. At the gathering, government officials unveiled photos of male haircuts which were deemed sufficiently Islamic and therefore permissible. 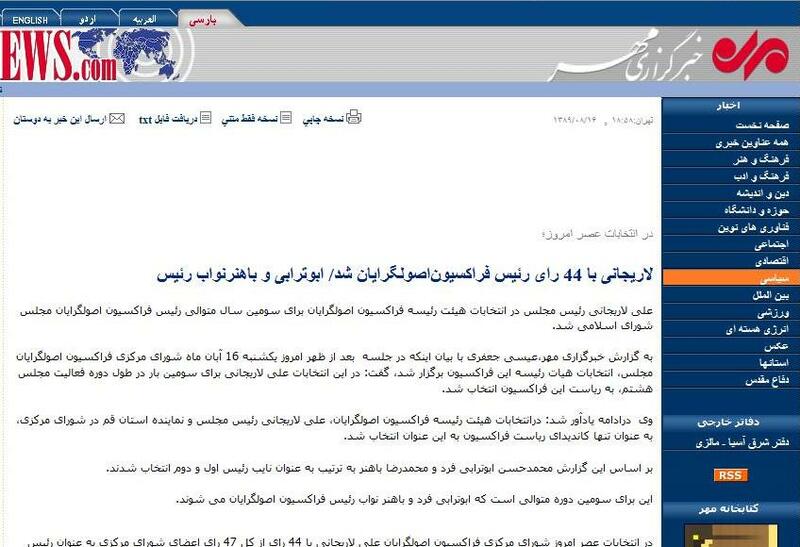 So if Ahmadinejad claims that he is not responsible for the strict enforcement of hijab laws, who is? Younger man: Mr. Ahmadinejad came on television and said, Are our youth, their clothes and haircuts, the problem? He said we have bigger issues. But after he was elected, his opponents put morality patrols on street corners in order to tarnish Mr. Ahmadinejad. And they did tarnish him. I see young people on the streets today and they say, We have no problem, just take away the morality patrols and we'll all vote for Mr. Ahmadinejad [...]. Masih Alinejad: But the security forces are under the supervision of Mr. Ahmadinejad's Interior Ministry. Older man: No, they're under the control of the Leader. Younger man: No, they're in the hands of Mr. Ahmadinejad's opponents. The enforcement of morality laws is only one of the wedge issues exploited by the president in the past years. Soccer is arguably one of the most popular pastimes of young Iranians -- men and women. In April 2006, as soccer fever attained new heights due to Iran's qualification for the World Cup in Germany, Ahmadinejad announced with great fanfare that he would lift the ban on women in stadiums. A month later, he reversed the decision, but not until he made it very clear who was responsible. 'The president has decided to revise his decision based on the Supreme Leader's opinion,' government spokesman Gholam Hossein Elham said. His remark was not widely publicized by the state media, but the uncensored version was published by Raja News, which is run by Fatemeh Rajabi, Gholam Hossein Elham's wife. It should be pointed out that Ahmadinejad was condemning the prosecution of media outlets that were close to his government and had insulted his political rivals, Majlis Speaker Ali Larijani and Assembly of Experts head Ayatollah Ali Akbar Hashemi Rafsanjani. The head of the judiciary is Sadegh Larijani, brother of Ali Larijani, and he was named to his post by Khamenei. Ahmadinejad not only announced grand projects, from public housing to water purification plants, which would translate into jobs and prosperity, but he actively encouraged the people to petition him with letters for personal aid on these trips. The government proudly announced that 2.2 million such letters were received just during the first round of provincial visits and that $250 million (250 billion toumans) had been allocated to these requests. 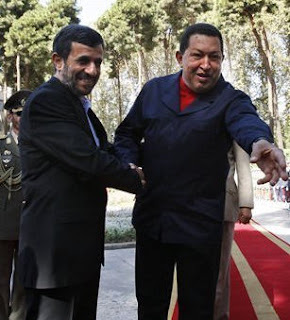 Ahmadinejad appears to be positioning himself alongside Bolivian President Evo Morales -- who was incidentally in Iran two weeks ago -- and Venezuelan President Hugo Chavez in an anti-capitalist front, said Real News Network senior editor Paul Jay in a recent broadcast. During his last trip to New York for the UN General Assembly, Ahmadinejad met with one hundred anti-war, labor, and 'progressive' leaders, according to Fight Back News, one of the organizations present at the meeting. 'Speaking with Mrs. Ahmadinejad [Azamolsadat Farahi] and hearing the president reinforced the importance of struggling against the US campaign to isolate and demonize Iran,' Sarah Martin of the Freedom Road Socialist Organization told Fight Back News. 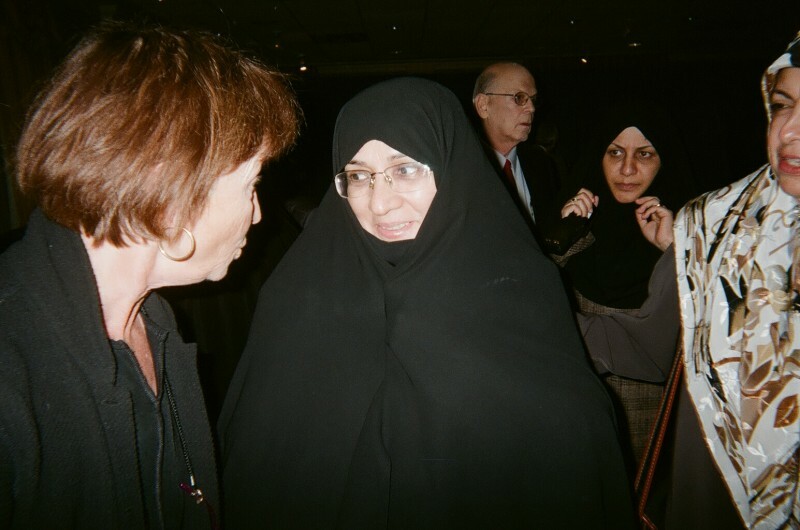 'I think the meeting was important because we had the opportunity to meet with so many dedicated grassroots activists from all over the country and share our hopes for peace and justice with the Iranian people through their president and his wife,' gushed Margaret Sarfejooy of Women Against Military Madness. The Ahmadinejad government's consistent efforts to crush any independent labor movement and imprison union leaders, the very representatives of the poor workers whom the president professes to defend, also belie the official line. Mansour Osanlou, leader of the Tehran Transit Workers' Union, is only the most prominent of a long list of labor leaders who have been jailed and tortured by the Islamic Republic. Direct link to Imam Zaman? Ahmadinejad's actions and statements seem to indicate that, although he is not a cleric, he understands that he must endow himself with some religious legitimacy in order to appeal to the devout and, more importantly, to maintain a central place within the regime. And in this respect as well, he has not shied away from conflict with the clergy. 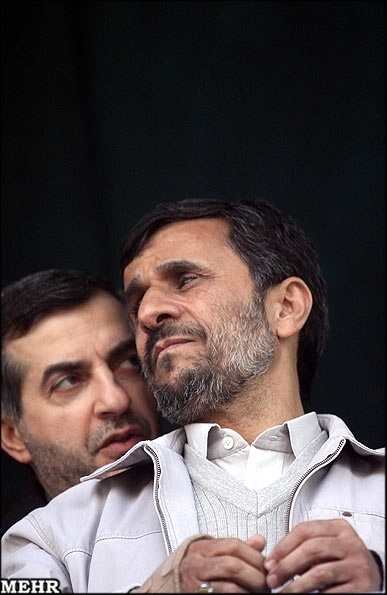 In September of 2005, Ahmadinejad made the first of his annual visits to New York for the UN General Assembly. While the international media concentrated on his speech at the United Nations and his comments concerning the nuclear issue, most Iranians became fascinated by what he did upon returning to the country. The president visited a number of senior clerics in Qom, among them Ayatollah Abdollah Javadi Amoli, the city's Friday prayer leader. It was at Javadi Amoli's house that the infamous 'halo of light incident' took place and was forever documented in a video taken by the ayatollah's staff (see video below). That day when I made my speech, someone who was in the audience came and told me afterwards, When you started by saying 'In the name of God,' a light surrounded you and you were inside it until the end. I felt it myself. I felt that the surroundings had suddenly changed. For the next 27, 28 minutes, the world leaders did not blink. When I say they didn't blink, I'm not exaggerating. I was watching. They were all immobile, as if a hand was holding them. The quest for religious legitimacy had become an act of attributing sacred qualities to himself. The clergy and other observers grumbled about the president's blatant foray in to the realm of the sacred and Ahmadinejad, true to himself, denied the incident ever occurred. 'When did I ever say such a thing? Where would I have a halo of light?' he said during an impromptu interview on a flight taking him on a provincial visit (see video below). 'Of course, anyone who repeats the word of God, well the word of God is light itself.' Government spokesman Gholam Hossein Elham declared that he had never heard the president talk about a halo of light and that the video which had been broadly distributed among Iranians had been doctored. 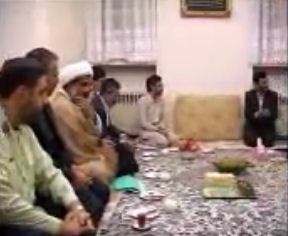 Elham, as can be seen in a still shot of the video, was not only present at the meeting with Ayatollah Javadi Amoli, but was sitting to the president's right and could not have failed to hear him. Ahmadinejad made the same denial during a presidential debate with Mehdi Karroubi in 2009. 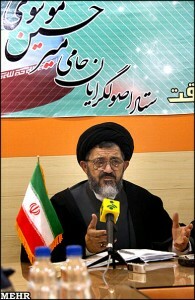 Javadi Amoli's office promptly issued a communiqué contradicting Ahmadinejad. Ahmadinejad's closest aides have also extolled the president's sacred qualities. Ali Alfoneh of the American Enterprise Institute recounts one such story -- featuring current First Vice President Mohammad Reza Rahimi -- in a piece entitled Ahmadinejad Versus the Technocrats. 'In Syria, in the historical city of Basra which may be unknown to some, a Muslim told me that he believes that if there was to be a prophet after the prophet [Mohammad], it should be Ahmadinejad,' said Rahimi in the presence of Ahmadinejad in 2006. Rahimi was director general of the Supreme Audit Court at the time and the incident is also related in the Alef news site, which is run by Principlist Majlis representative and head of the legislature's research center Ahmad Tavakoli. As usual he listened to the remarks and grievances of the people with patience and tolerance and a smiling face. And then he would [attentively] issue the necessary orders to resolve the problems of the people whom he loves with all his being. Towards the end of the meeting, the whispers of the attendants told me something was afoot until one of them came to me and said, 'Today (October 28) is the doctor's [Ahmadinejad's] birthday.' I cast a glance at the president. He was so submerged in dealing with the people's problems that I could not allow myself to remind him of this news. After the meeting, as we and a few friends were preparing for noon prayer, I told him, 'Happy birthday, Mr. President.' And I immediately asked him, 'Mr. President, did you know that today is your birthday?' He stared at us for a moment, then a smile crossed his lips. I said, 'If I'd known earlier, I would have prepared a birthday cake.' He laughed and said, 'Instead of these things, it's best if you concentrate on the people's affairs.' Another friend jokingly said, 'Doctor, you should hand out some sweets.' He responded, 'Usually people give presents and sweets for someone's birthday, they don't receive them. But in any case, let us distribute the sweet experience of resolving the people's problems among ourselves.' [Ahmadinejad], who loves the people, even spent his birthday in sweet servitude to God's people. 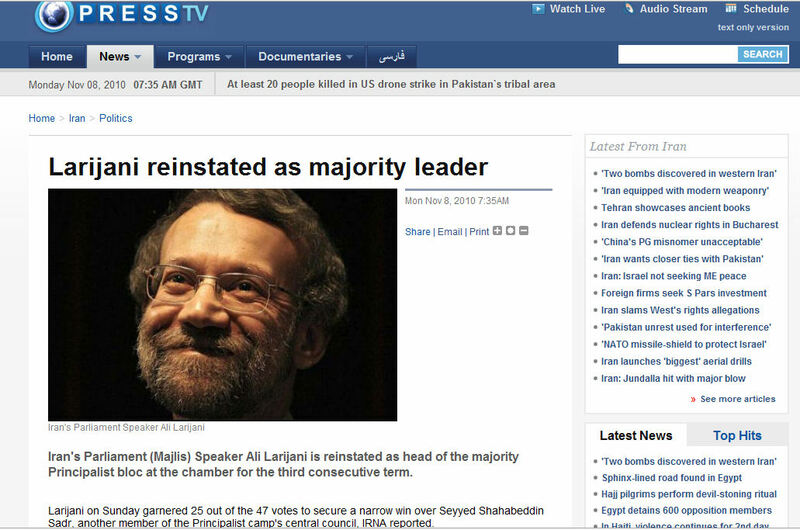 Larijani landslide questioned by... his own side? I originally wrote this article for Tehran Bureau, which published it on November 23, 2010. Majlis Speaker Ali Larijani's recent election as chairman of the majority faction has highlighted the cracks in the pro-regime Principlist camp and the ambiguous nature of democracy in the Islamic Republic. The central council of the legislature's Principlist faction voted to choose its leader on Sunday, November 7, and depending on the source, Larijani either garnered 44 of 47 votes as the sole candidate or squeaked by with 25 ballots to 20 in a tightly contested race with his rival, Tehran representative and Second Deputy Speaker Shahabeddine Sadr. The election took place amidst rising tension within the conservative camp. While Larijani and Mahmoud Ahmadinejad have been direct rivals since 2005 when both men ran for president, it would be an over-simplification to describe the animosity among Principlists solely as a power struggle between the two political figures. 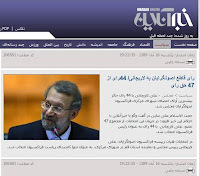 A review of news reports, interviews, and official blogs indicates that Larijani obtained only 25 votes, but that creative electioneering allowed his supporters to advance the figure of 44, under the pretense of presenting a picture of unity to the general public. 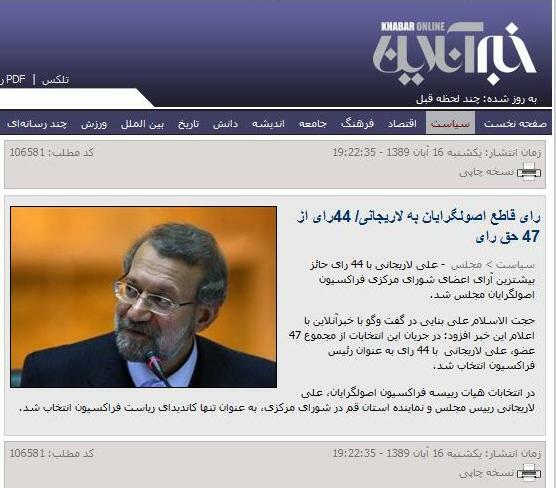 The Islamic Republic News Agency, run by Ahmadinejad's former media adviser Ali Akbar Javanfekr, reported the correct number of ballots for Larijani, but the misleading figure of 44 was disseminated by a much greater number of outlets, including the '20:30' television news program. This was initially a public relations victory for Larijani supporters, but their subsequent attempts to explain the discrepancy has taken some of the luster off the conceit that the Majlis Speaker is an uncontested leader. Tension, dissension, and all-out conflict are not new in the Principlist camp. The impeachment of Interior Minister Ali Kordan for having a bogus doctorate -- a move initiated by fellow Principlist and Majlis representative Ahmad Tavakoli during Mahmoud Ahmadinejad's first term is only one example -- but the events following the disputed election of June 2009 have made the fault lines between conservatives even more brittle. 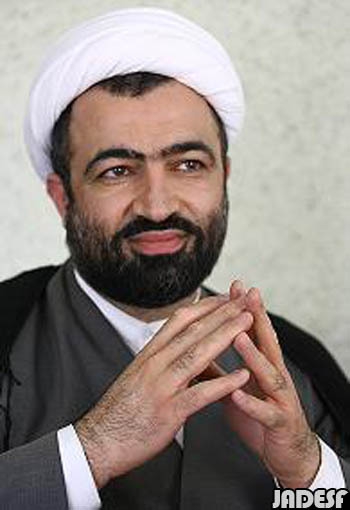 Just in the past nine months, Elias Naderan, representative of Tehran, accused First Vice President Mohammad Reza Rahimi of corruption and called for his arrest in an open session of the legislature; Morteza Nabavi of the Islamic Society of Engineers warned of the ascension of 'deviant Principlists;' Pro-Ahmadinejad goons besieged the parliament building after a majority of representatives voted down the government's attempts to appropriate Azad University assets; and the Majlis voted to remove Ahmadinejad from the chairmanship of the Central Bank's general assembly. Sadr, a physician and university professor, had been one of ten presidential candidates in the 2001 race which brought Mohammad Khatami to a second term (Sadr came in 7th place in the first round). While a Majlis representative, he was elected chairman of the national medical association in 2008. As the deputy chief of the Front for Followers of the Line of the Imam and the Leader, an umbrella organization comprising over a dozen Principlist groups, he was approached by the Society of Combatant Clergy and the Islamic Coalition Party to make another run for the presidency in 2009. He turned down the offer, but made some surprisingly positive remarks about another candidate, Mir Hossein Mousavi, who would go on to become one of the main leaders of the Green movement. 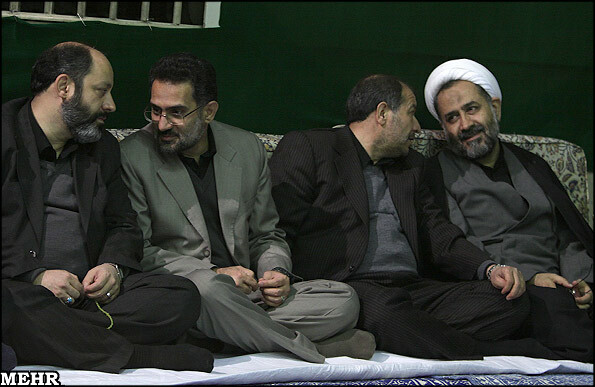 'He believed that Mousavi was a known individual with administrative experience and that he was respected by all,' wrote Khabar Online, which is incidentally close to Larijani. '[He believed that Mousavi] was loyal to the principles of the regime and the revolution, and that his red lines were the Imam [Ruhollah Khomeini], the constitution, and the velayateh faghih ('Rule of the jurisprudent,' principle from which Khamenei derives his power).' It was not unusual at the time for some conservatives to endorse Mousavi and indeed they formed an official organization called Principlist Supporters of Mir Hossein Mousavi. Sadr was not a member of that group and gave his endorsement to Ahmadinejad. Following the disputed election and in the past year, he has generally refrained from making speeches or appearing on television programs, although he did extend his congratulations to Ahmadinejad and the nation. In May, he was chosen by his peers as the Second Deputy Speaker of the Majlis. 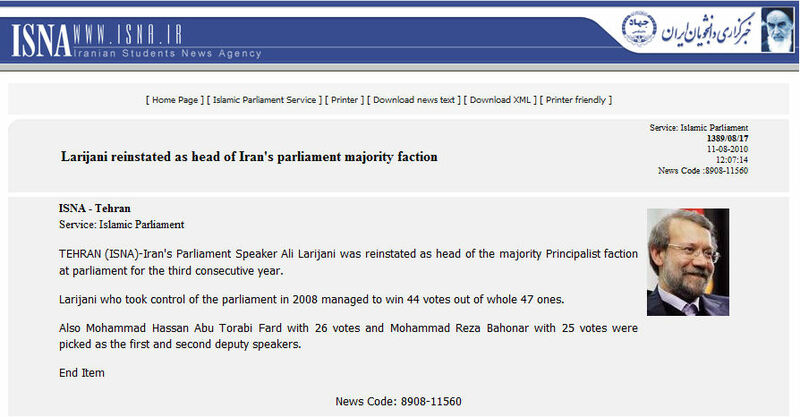 Larijani ran unchallenged for the post of Speaker in the same election. In the central council meeting of November 7, Sadr accepted to run against Larijani for chairman of the Principlist faction of the legislature. There were 47 participants in the meeting -- the 44 members of the central council and the 3 members of the faction's arbitration committee -- and all had the right to vote, according to the statutes of the faction. Per two reports, one arbitrator and one member of the council were absent. Esmail Kowsari (representative of Tehran), attempted to start the meeting with a few words about the Speaker's record, but was not given the floor. Ballots were distributed and Larijani won 25 votes to Sadr's 20. There were two blank votes. Hossein Nejabat is one of Tehran's representatives, even though he is said to live mostly in Ghom (Larijani is one of Ghom's representatives), and is a member of the Society of Devotees of the Islamic Revolution (Jamiyateh isargaraneh jomhouriyeh eslami), which supported Tehran mayor and Ahmadinejad rival Mohammad Bagher Ghalibaf in the 2005 presidential election. Nejabat obtained a doctorate in nuclear physics from Durham University in England. 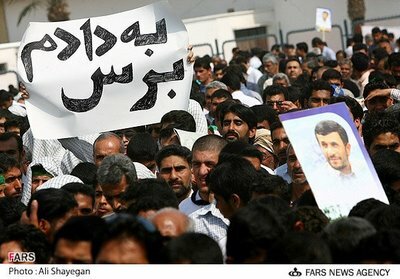 Larijani's supporters countered with their own version, which was not much more convincing. 'Before the [official] vote, Mr.Nejabat suggested that the vote with paper ballots be considered an exploratory vote (raygiriyeh estemzaji) and that whichever candidate obtained the favor of the majority, he should become the unique candidate of the faction and all of us should vote for him, so that the unity and homogeneity of the Principlists could be shown to the people,' explained Seyed Hossein Naghvi Hosseini (representative of Varamin) to Khabar Online. But, of course, last year, the country was contending with another disputed election.